To find out what we’ve been up to recently, take a look at our Vlog presented by Emily Beach…she’ll show you the Autumn/Winter fashion campaign video for County Mall and it’s biggest brands, give you a glimpse at the recent Horsham Ameri-Car-Na and show you more of our work from October and November. Over the next few weeks, we are covering the Christmas activities at County Mall in Crawley including the Father Christmas visit – these three days of filming will cut together into promos for the centre and as a yearly recap video on their events. We’re working with Southern Communications to edit screencapture content of their software programs into training / how-to-use videos including a voice over specially recorded by Polly Winder. We’re working with the Denis Mahon Charitable Trust again to film their final seminar of the year. This will be our fourth filming event for them this year. Our recent adverts for the Buttermarket Centre in Ipswich came out and you can see them and find out more about our work with Velocity Worldwide in our Client page. We’ll soon begin judging films for the Horsham Film Festival and have almost 500 films to watch through! 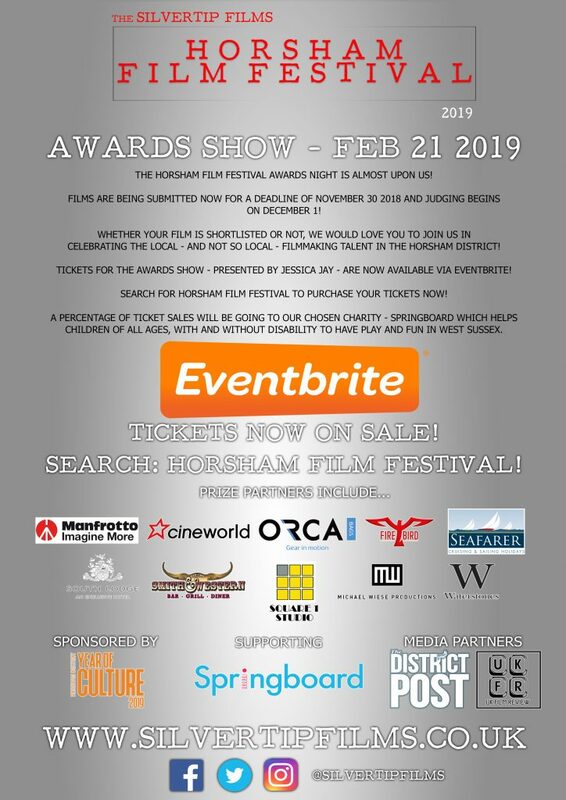 Tickets for the Awards Night are now ON SALE and if you want to celebrate local filmmaking talent and support a great charity in Springboard then please join us at the Awards Night on Feb 21 2019!